The pattern across Europe in the past two weeks has been a complete flip from what we had been experiencing through early and mid October. Now, very deep troughs and cyclones and colder weather are maintaining across the N Atlantic and western Europe, while strong ridging and much warmer weather dominates eastern and partly central Europe. Current trends indicate this pattern should continue for at least another week. In the coming days, this brings record-breaking warmth into the mid-levels across the east/northeast Europe with more than 15 °C warmer airmass than usual for early November. While lowlands will likely not experience the extreme warmth, very warm weather is still expected across Poland, Belarus and Baltic countries. A strong upper ridge is located across the eastern / northeastern Europe, while a deep trough enters the Iberian peninsula from the west. Strong warm advection and very warm airmass (12-15 °C above normal) dominate east-central Europe, gradually moving north due to prevailing winds from the south, in between the ridging to the east Europe and the trough over the west / southwest Europe. 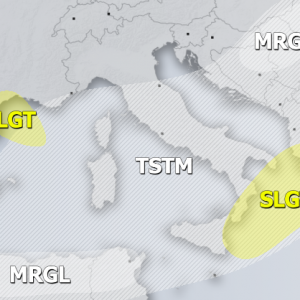 The upper ridge strengthens while trough / low over the Iberian peninsula weakens. A new deep trough establishes over the Atlantic. The ridge is now centered over the Baltic region and resulting in more than 16 °C above normal temperatures in the mid-levels. Very warm airmass now spreads also into south-central Scandinavia. The upper through over the N Atlantic deepens while the northeast European ridge gradually starts weakening, but remains very powerful for another day. Due to a stronger jetstream push from southwest Europe, the ridge moves towards northwest Russia. The result of strong subsidence in the high pressure systems brings incredibly high 850 mb temperatures – 16-18 °C above normal (note: the normal values for early November are only 0-2 °C at this level!). Here are zoomed maps of 850 mb temperature anomaly across the northeast Europe – we can see the anomaly will be 16-18 °C above normal for early November there. These anomalies are truly remarkable for so far north for this time of the year. The lowlands will likely not respond to the extremely warm mid-levels as they did in mid/late autumn and winter months. The region is usually trapped under a strong inversion layer. Therefore, the mid-level temperatures can not mix to the ground without the help of significant winds. The extreme warmth at about 1200-1500 m results from the very strong air subsidence (descending air parcels) within the persisting high pressure system. However, northern Poland and SW Lithuania could still reach 12-15 °C peak afternoon temperatures in these days. Meanwhile southern Poland should peak into the low 20 °C. Stay tuned for further updates on this unusual event soon!